Enter code xxp4my at online grocery checkout. Enter code xxgpt4 for online grocery checkout. I wish Tesco still had online electricals. My local Tesco extra branch is schrinking electrical, dvds and games also more and more, every time I visit. So xbox and a switch coming to £410 instore and a saving of £35? If the prices are true. How can you use the code online then, if they don't stock them online? I'm confused. How can you use the code online then, if they don't stock them online? I'm …How can you use the code online then, if they don't stock them online? I'm confused. 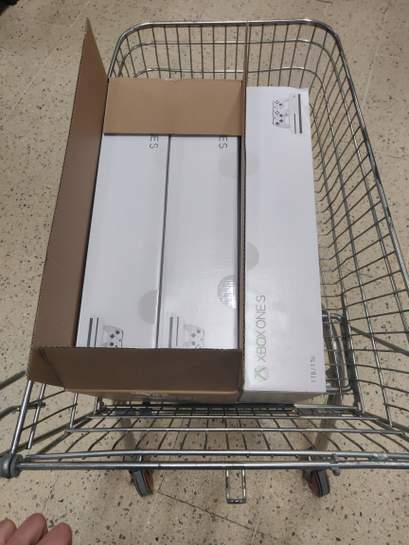 You can't buy consoles or anything big online anymore, only games which can be delivered with a grocery shop. You'd need to buy a ton of games to get to £350 minimum spend for the £35 off. Been in my tesco extra cant find this book anywhere is it a book or paper leaflet? 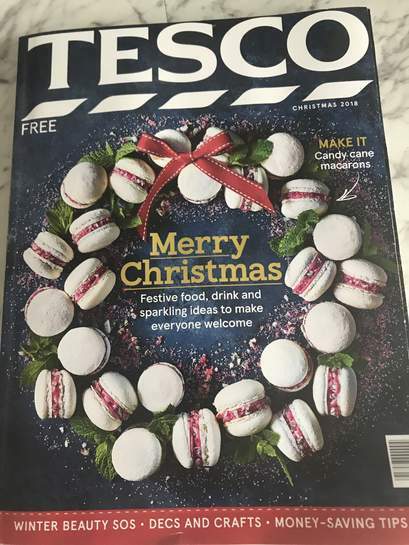 Been in my tesco extra cant find this book anywhere is it a book or paper …Been in my tesco extra cant find this book anywhere is it a book or paper leaflet? Thank you looks like im doing another trip later. Ahh see if they will honour it or try scan barcode ? Did they accept the coupon? 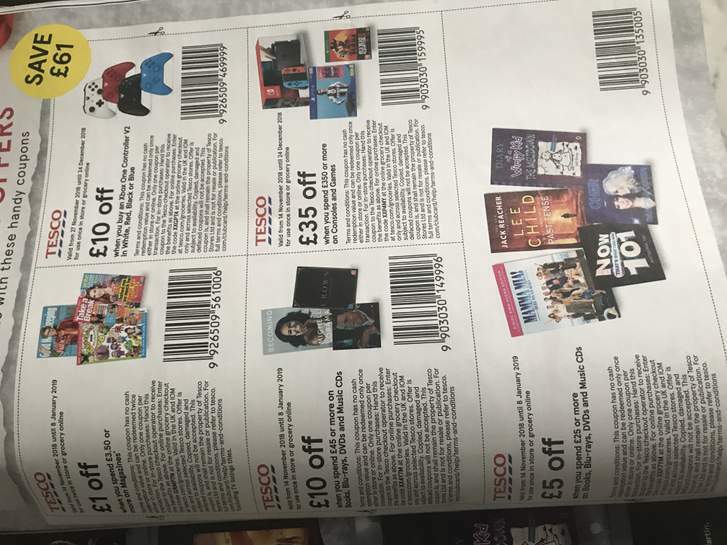 Does anyone have this voucher scanned in that I can print out? 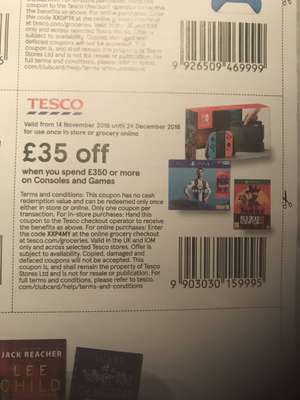 Although they say copied vouchers not Accepted you can email tesco for a PDF of it and use that. Does anyone have this voucher scanned in that I can print out? Although …Does anyone have this voucher scanned in that I can print out? Although they say copied vouchers not Accepted you can email tesco for a PDF of it and use that. Ino someone showed them the pictures in comments and they honoured it. Thanks mine won't I asked today sadly but thanks anyway. Oh no thats bad its in there own magazine!